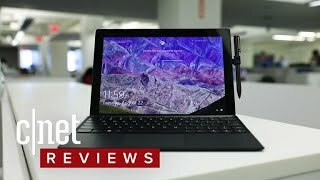 The number of Microsoft Surface Pro 4 alternatives are almost close to none but now there is a new 2-in-1 tablet to look forward to: the Lenovo Miix 720. 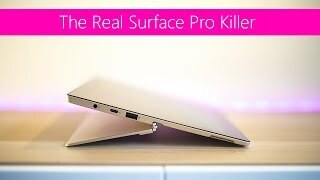 Comparing this latest tablet with the old Surface Pro 4 might not be a good idea as the latest Microsoft Surface Pro 5 is coming soon but that’s what we have for now. 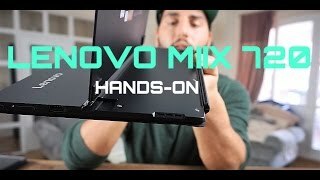 To learn more about this upcoming laptop-tablet hybrid including the Lenovo Miix 720 Nigeria price and specs, keep reading. Just like the Surface Pro 4, users can connect a keyboard with the Lenovo Miix 720. However, the keyboard is included with the tablet which is not something you get with the Microsoft Surface Pro 4. The display is slightly smaller than the Microsoft’s tablet as well but it will be showing higher resolution: 2880x1920 pixels resolution. Moreover, it’s protected by Gorilla Glass. The tablet is quite thin even with the keyboard and weighs about 780g without the detachable keyboard. This 8.9mm thin tablet is quite chic and its simplistic design will surely grab your attention. The viewing angles are great and the keyboard makes sure you feel comfortable when typing with its full-sized keys. While the starting model won’t include the latest Core i7 processor, the highest specced version will be packing the latest Intel Core i7 processor which is Kaby Lake architecture based. It will be accompanied by up to 16GB DDR4 RAM and 1TB PCIe SSD. 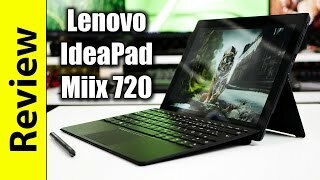 We don’t what’s inside the starting models so we have to wait for the Lenovo Miix 720 release date Nigeria to find out. The Integrated Intel HD Graphics 620 supports 4K videos which is another feature that’s not included in the Surface Pro 4. There is the cheap Asus Transformer T100TA and Lenovo Miix 310 if you are not willing to spend too much money. These are really cheap compared to the Lenovo Miix 720 Nigeria price. One of the problems with portable laptop tablet hybrid is the number of ports included. 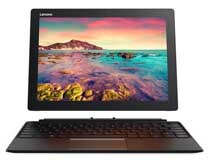 Fortunately most of the necessary ports are included in the Lenovo Miix 720. 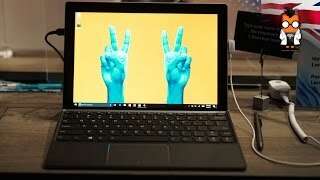 There is a Thunderbolt 3 USB-C Type port which supports hooking up this tablet in multiple displays. However connecting to a display will require USB-C to HDMI or DisplayPort cable. Other notable features of this tablet are: front facing integrated infrared camera, USB always-on charging support 5-megapixel rear camera, integrated Dolby-enabled stereo speakers and all the necessary ports like USB 3.1 Type-C port, USB 3.0 port, USB 2.0 port and a microSD port. There is the iPad Pro and Samsung Galaxy TabPro S if you are looking for a serious tablet and don’t want a keyboard. As mentioned earlier, the starting price of the Lenovo Miix 720 is slightly higher than the Surface Pro 4. It will be around 374000 ₦ when it’s here. 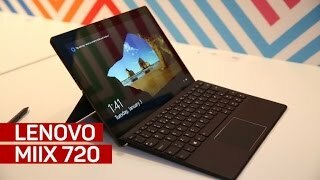 It’s expected to compete directly with the Surface Pro 5 as the Lenovo Miix 720 release date Nigeria will be sometimes in April, 2017. 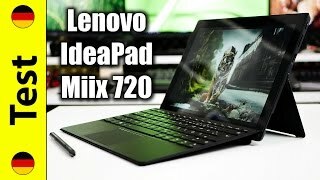 The miix 720 Tablets & EReader is manufactured by Lenovo and was added around January 2017 and is part of the Lenovo Miix 720 series. This version of the Tablets & EReader comes in Connectivity : Wifi.